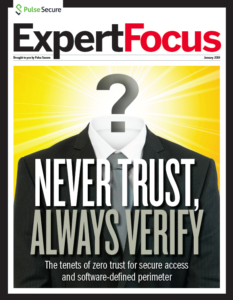 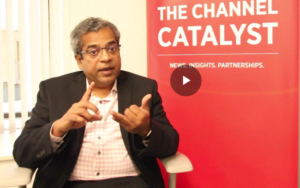 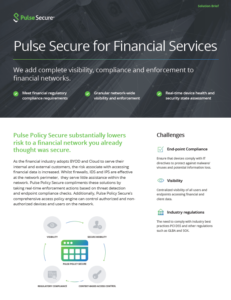 Centrally deployed access policies that govern every transaction. 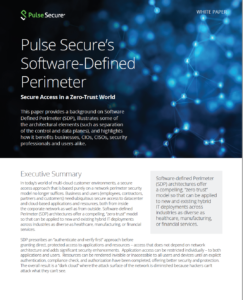 The best part is, Pulse SDP works with your existing infrastructure – there’s no rip and replace! 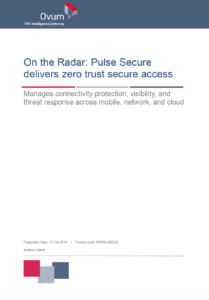 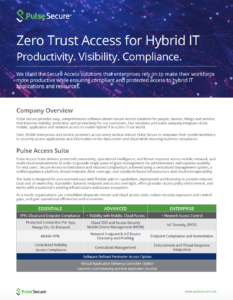 And, Pulse Secure is the only vendor to offer dual-mode SDP and VPN, offering a single pane of glass for Secure Access management and operational visibility across public cloud, private cloud, and data center. 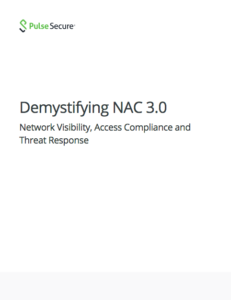 So, your workforce is even more productive while you sleep better at night knowing that hackers can’t attack what they can’t see.